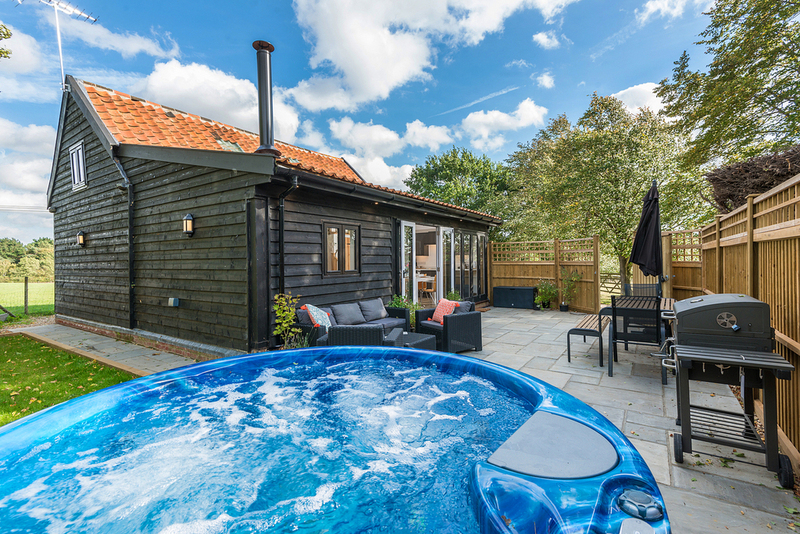 Newly-converted barn set alongside the fields with its own private hot tub and enclosed garden. 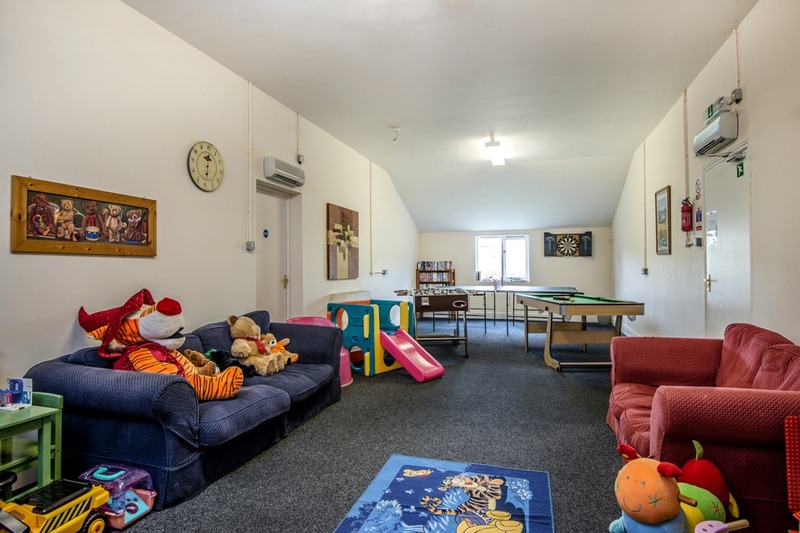 Sleeping 4 across two floors and with unique undercroft feature (the Den). 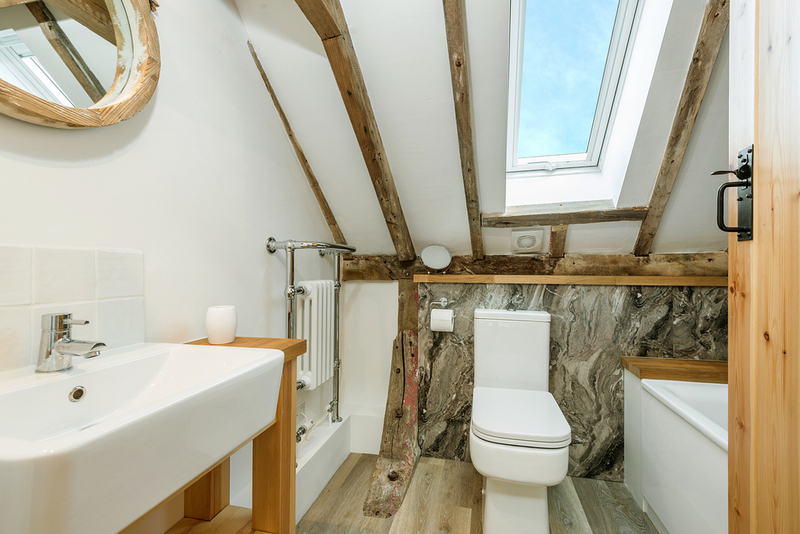 Offers privacy & lovely views of the fields. 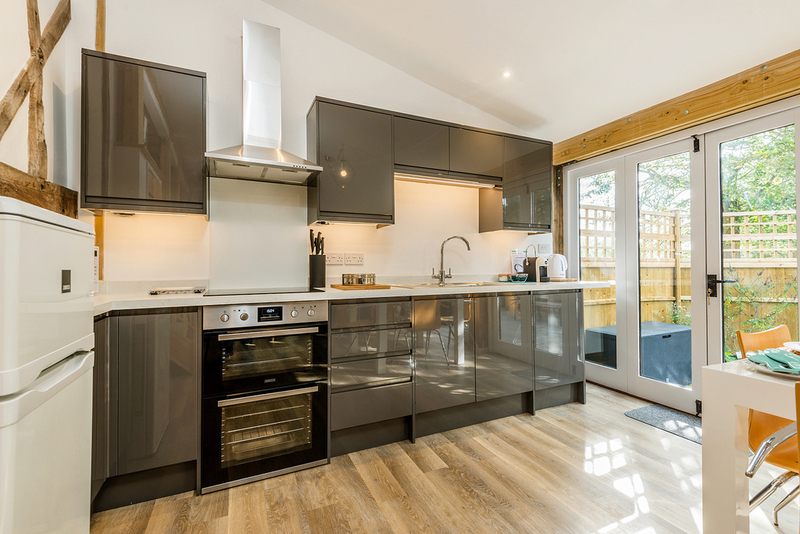 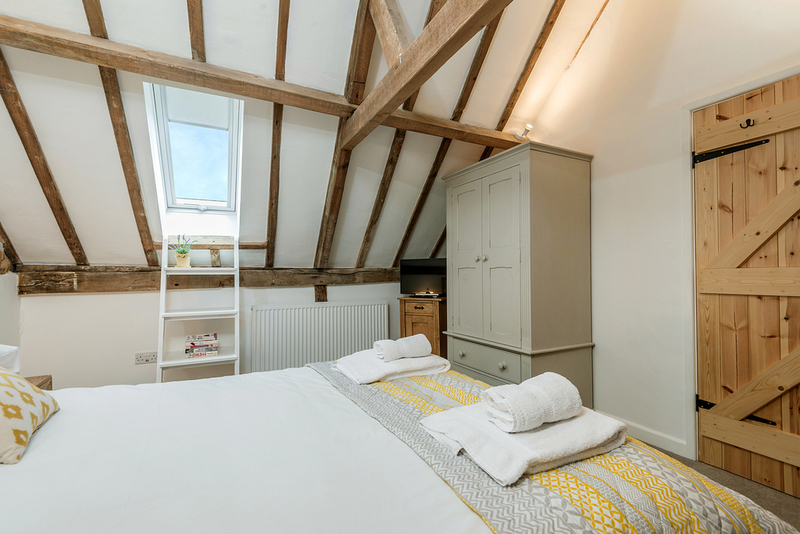 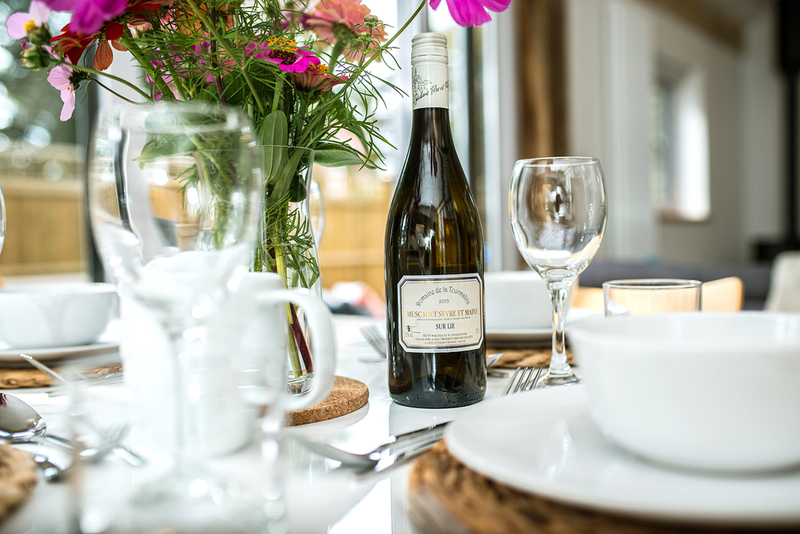 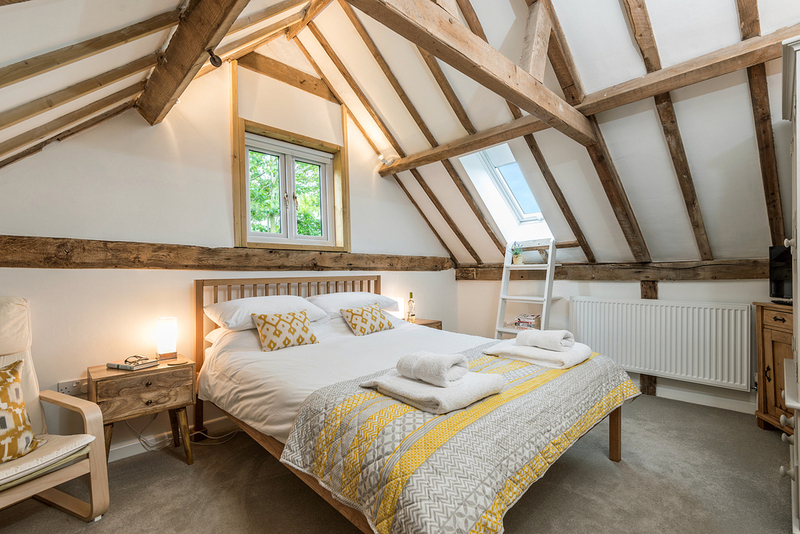 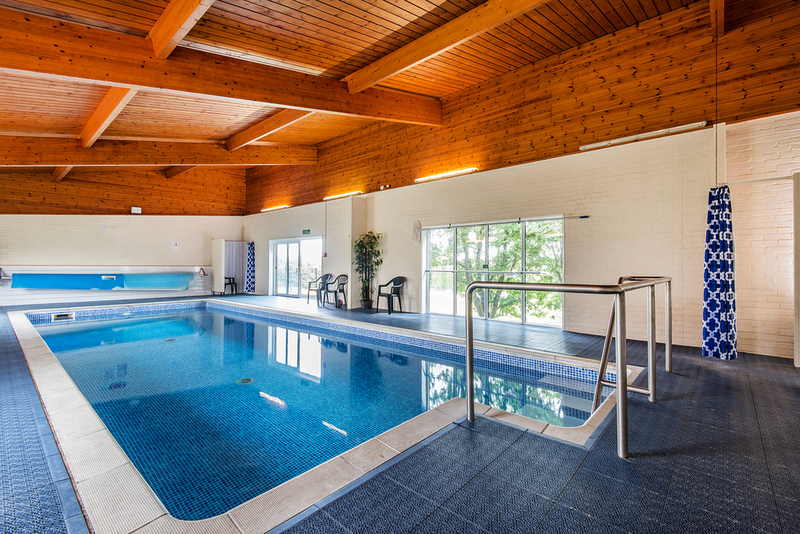 The Hayloft is the newest addition to our group of holiday cottages. 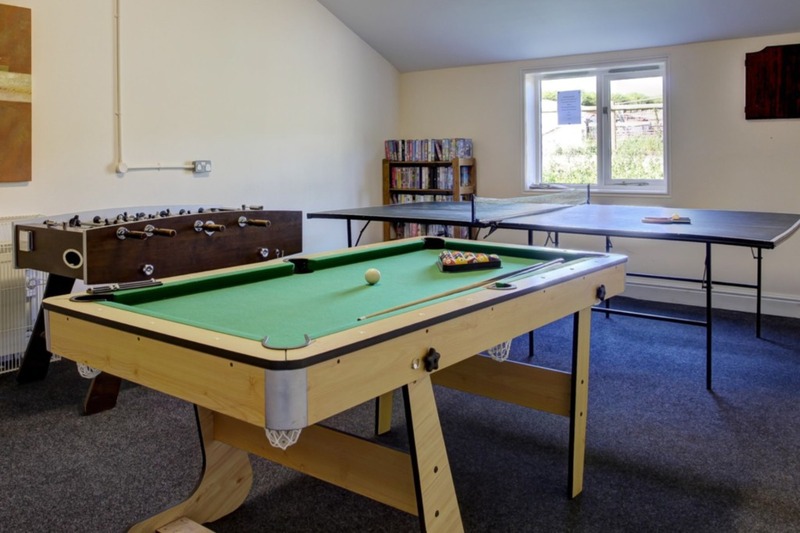 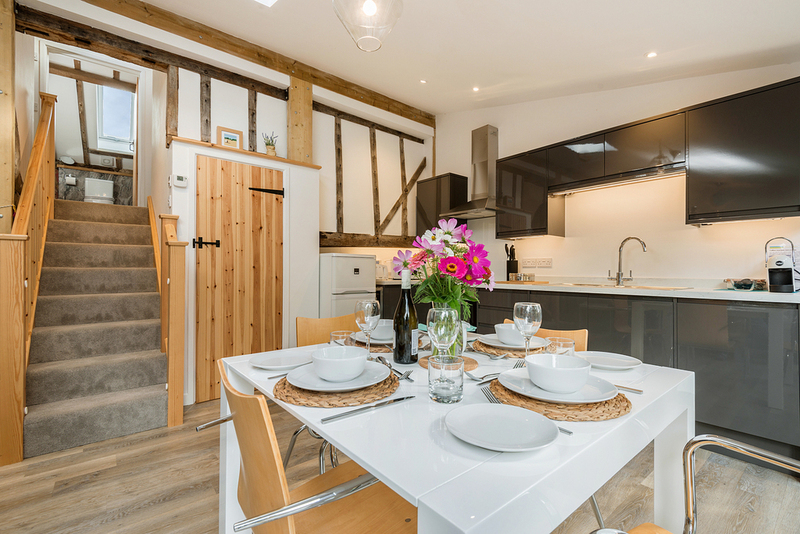 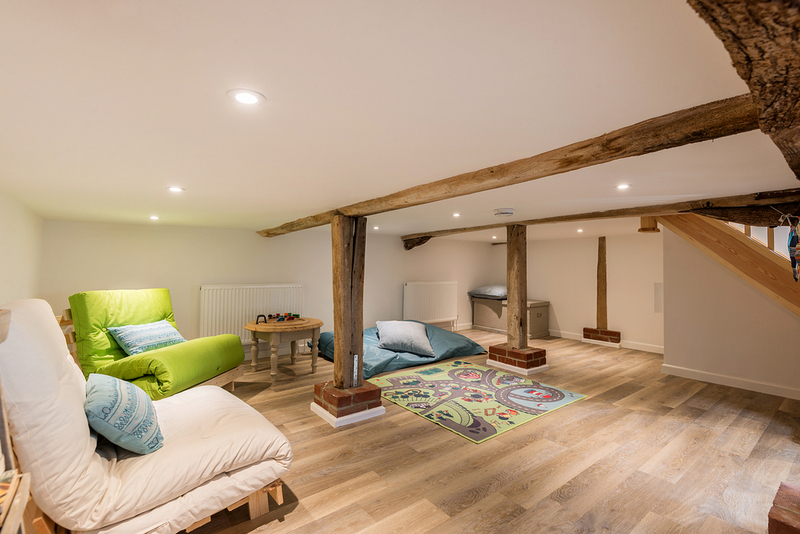 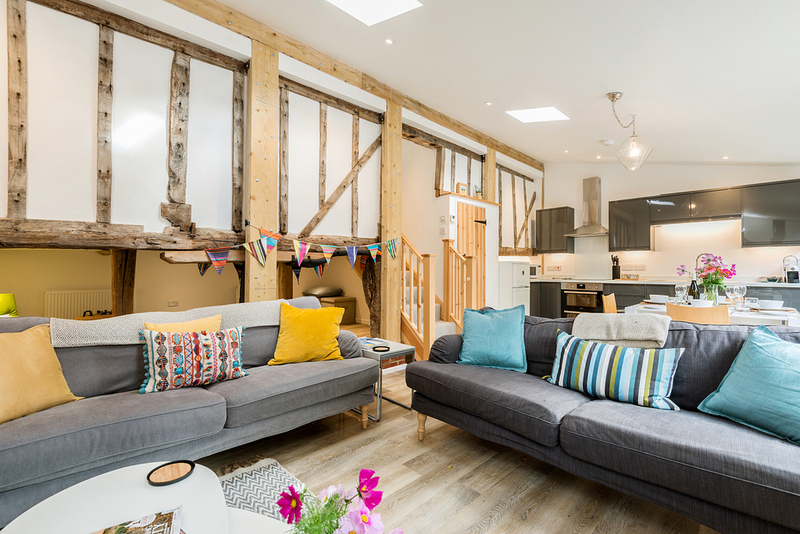 Converted from the oldest barn on the farm, it maintains many of the original features, including a fun 'undercroft' area which makes a great den ! 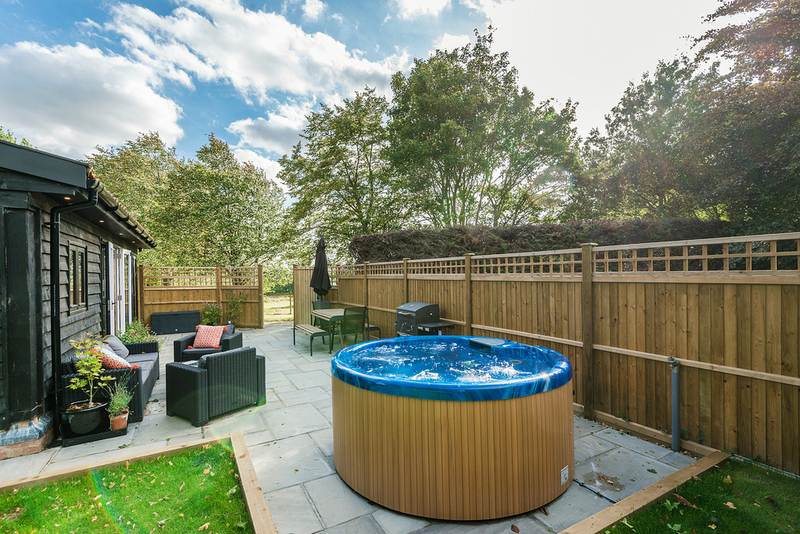 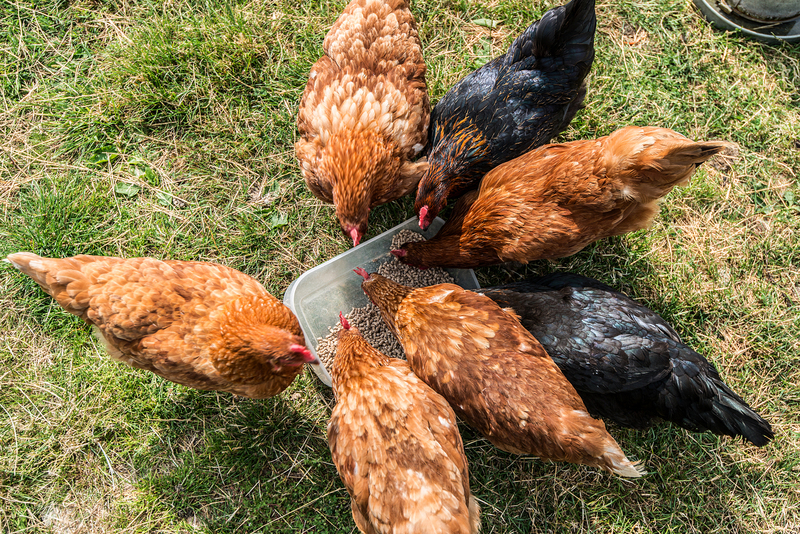 Set aside from the rest of the farm, it offers seclusion with its own private garden and luxury hot tub. 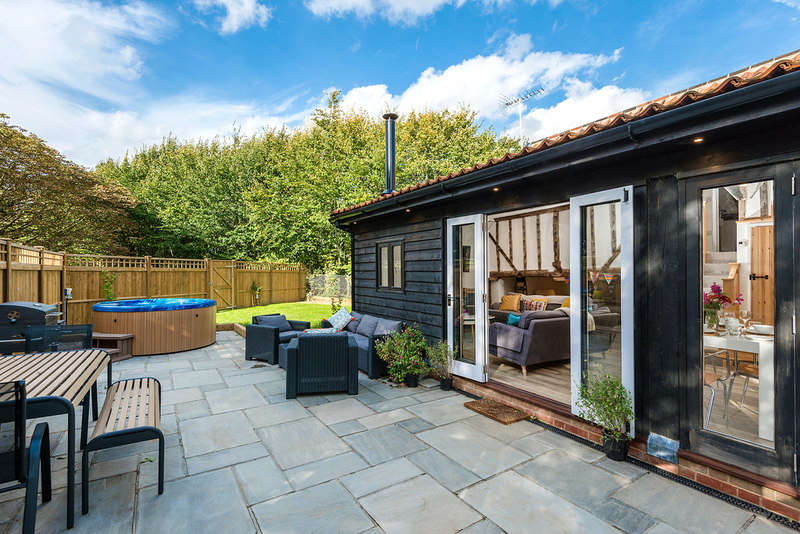 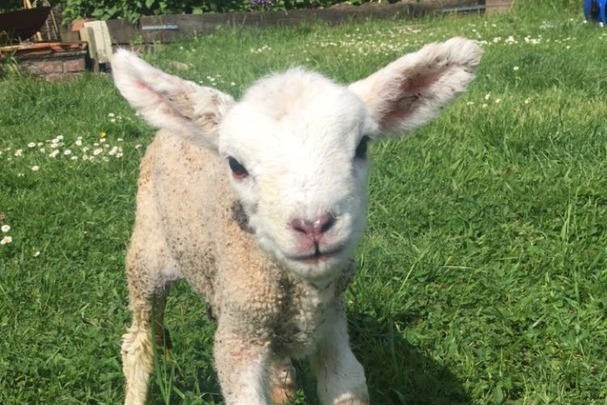 You can enjoy the beautiful views across the fields from the garden bench as the sun comes up, or simply lounge in the patio and lawn area, and make use of the BBQ or dine outside. 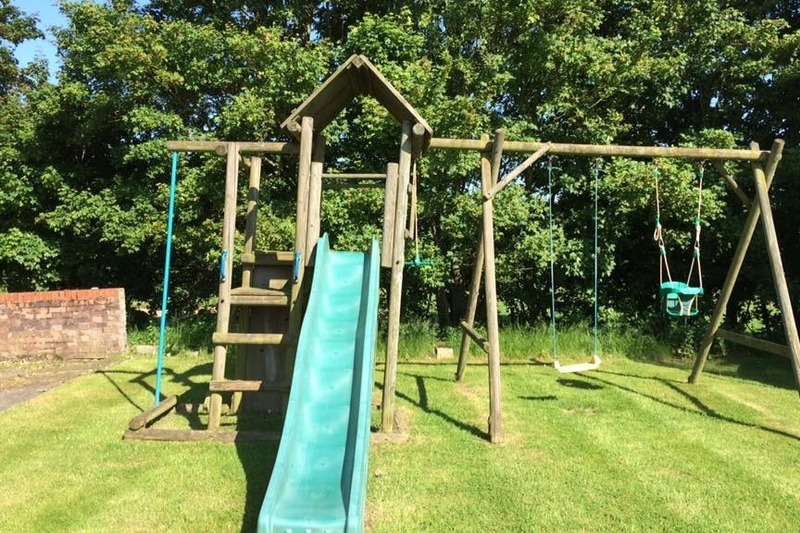 The space is secured with fencing and gates so is ideal for small children and/or pets. 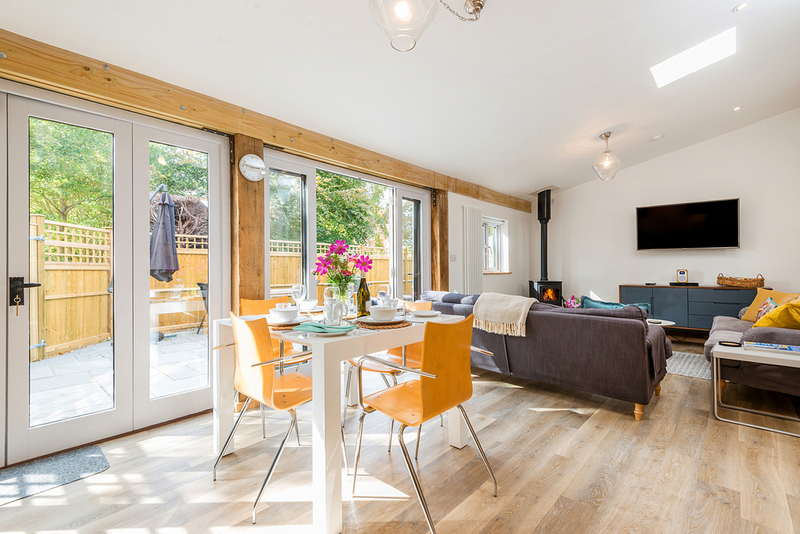 Inside, the light and airy ground floor is open plan with two sets of french doors opening out onto the garden for long summer days. 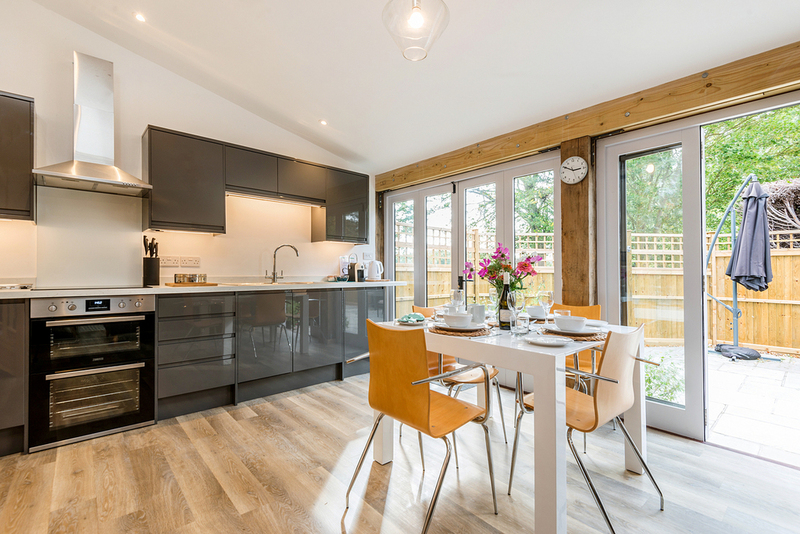 Eating in or outside - the kitchen and dining space are fully equipped. 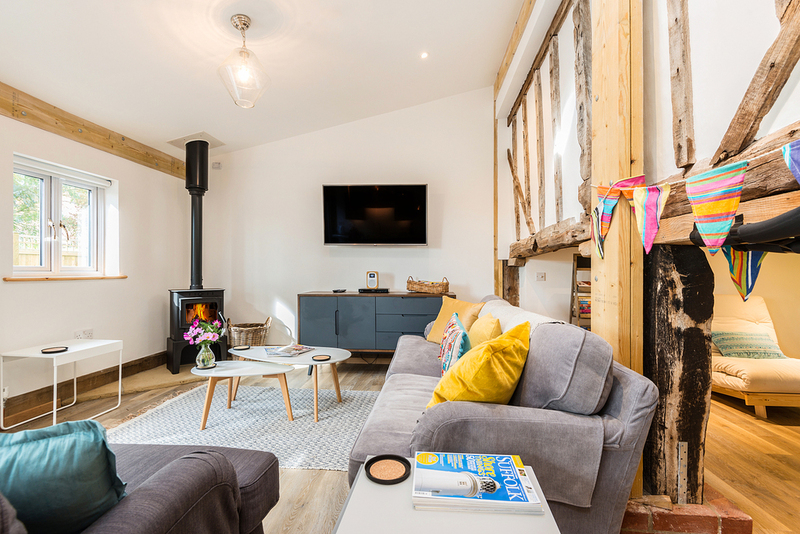 The lounge area has plenty of comfy seating, with a wood burner for cosy winter evenings, as well as large screen TV, DVD player and a Pure radio/bluetooth speaker unit. 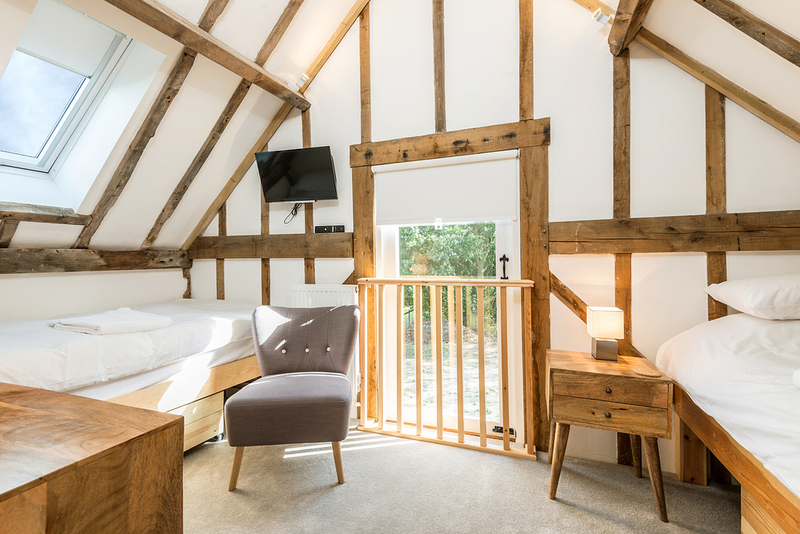 The small staircase leads up to the landing and two comfortable bedrooms - a spacious master room with kingsize bed, and a twin room with full-length (6'3") built-in single beds. 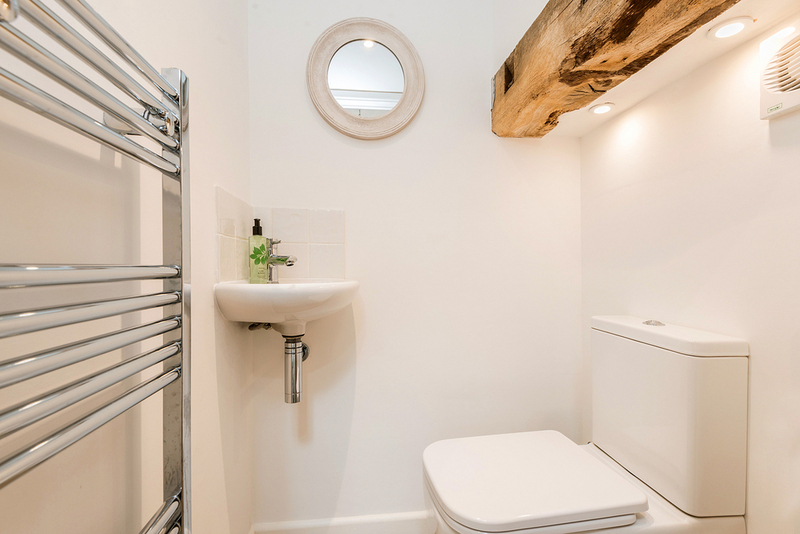 Between them is a modern bathroom with bath and shower over, wc and basin. 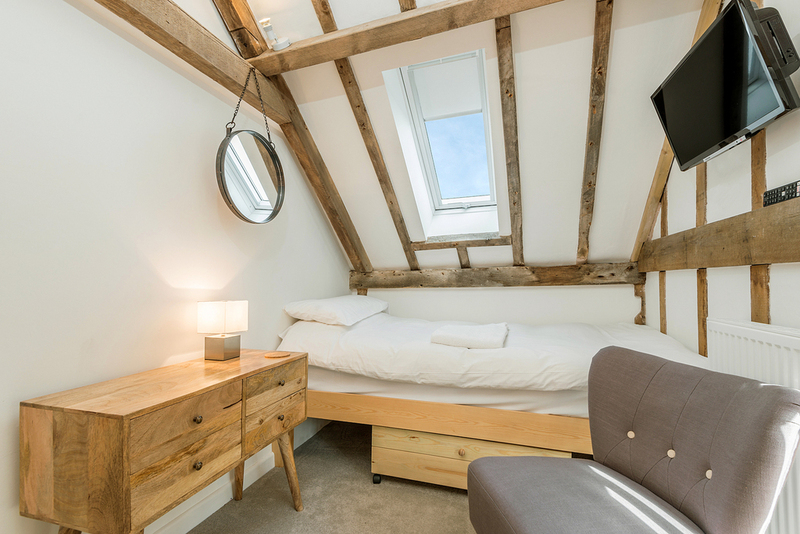 The beamed ceilings are high and well-lit, with opening velux windows making the rooms bright and airy.